Just a few photo updates of what we've been up to this summer! Free slurpees on 7/11 at 7-11! typical welcome we get when visiting their house! officially done with my Master's program! pile of articles I used to write my thesis! At the Mariner's game for KC's birthday! Decorating Brooke's car for her 21st birthday! My first visit to Kerry Park! American Idol concert at the Key Arena! We had great seats, considering we didn't have to stand to see the stage! hours. It's really fun to work with family! Chris' tenure at Up Time! (the waitress is a friend of mine from high school)! Can't believe this little girl is 21! My glamour cat - this pic cracks me up! My dear friend Chelsea's bachelorette party - love this girl! for this little miracle earlier this year while finishing grad school. Such a joy to watch this little girl turn 1! 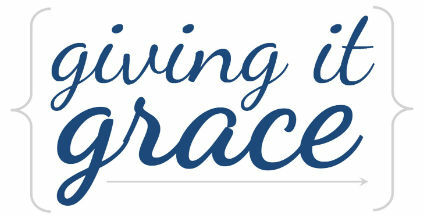 Giving it grace: So that's our summer so far in a nutshell! We've also been enjoying flirting with the sun when it comes out (don't blink or you'll miss it!). Despite the happy smiles in these photos, it seems that this summer has been filled with news bites of sad, devastating news...Colorado shootings, breakups, addictions, cancer diagnoses, troubled pregnancies...it seems as though every day I find myself saying "that's terrible" or "I"m so sorry to hear this". It hard not to feel "guilty" about enjoying the little day-to-day joys when I know so many people are suffering right now (including my family, for various reasons). I'm constantly called back to Romans 8:28 "And we know that for those who love God all things work together for good, for those who are called according to his purpose." This verse is commonly misunderstood to mean that God will work all things together for good, according to what our definition of "good" is. Clearly, we would say that not having cancer is good, so why do people still have cancer? What the verse is actually saying though, is that for those who love God, He will work together all things for good according to what is good in God's eyes...and that is something we can't fully understand. I, for one, believe that if God fully revealed Himself of His plans to us, it would be incomprehensible beyond our wildest imaginations. Thus, if I believe the Bible to be true and without fault (which I do), then I can believe that God is working all things together for good [according to Him] for those who love Him. I also believe that our God is trustworthy, so I can trust that His version of "good" far surpass what I could ever come up with in my selfish, self-serving heart. While this doesn't remove the heartache attached to hearing devastating news, it does help remind me that God is in control always - from the joyous moments, to the mundane moments, to the moments we never wish would happen in our lives.